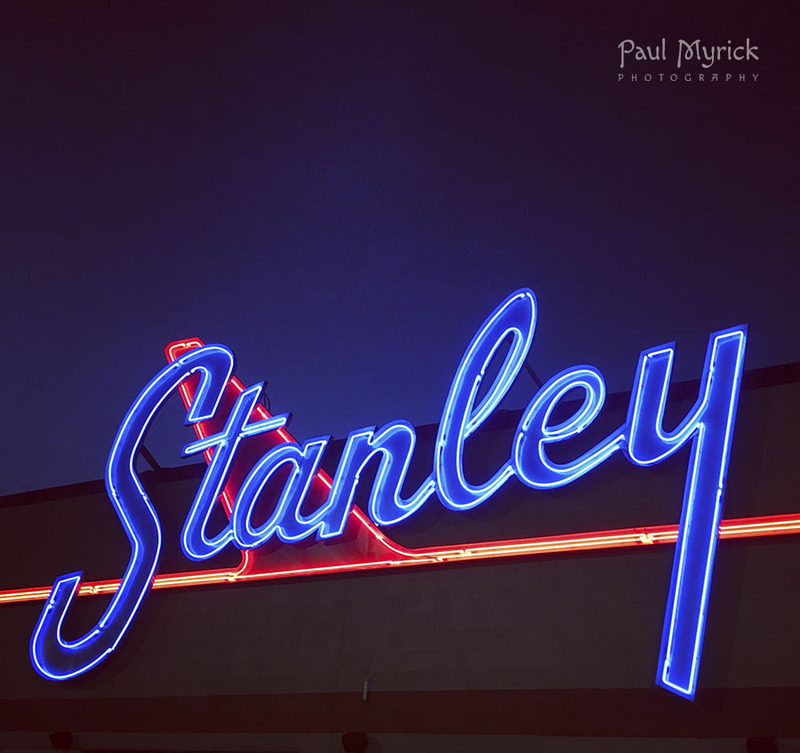 Here’s a fun photo of a neon sign located at Stanley Marketplace in Denver, Colorado (technically in Aurora at the edge of Stapleton). I love the airplane wing symbolism integrated with the mid-century typeface — a nod toward the building’s former use as an aerospace company. Stanley Marketplace is now a hip collection of eateries, shops, breweries and other retail businesses. Neon signage is always fun to photograph because the colors really pop in the image. The best time to shoot neon for a dramatic image is either at dawn or dusk when there’s just a bit of light and blue in the sky behind the sign. Set exposure for the light in the neon and let everything else fall into shadow. For more mid-century neon sign photo opportunities, visit Colfax Avenue in Denver where (thankfully) many, many vintage neon signs still light up the night.